Chongqing-based Changan Automobile hopes to become one of the top new-energy vehicle producers in China by 2025, with aims to make 34 models and sell 2 million electric cars, said the company's president Zhu Huarong. To achieve the goal, Changan will invest 18 billion yuan ($3 billion) into new-energy vehicle development during a 10-year period. Chongqing, Beijing, Shenzhen in Guangndong province and Baoding in Hebei province will be the manufacturing bases for Changan's new-energy vehicles. Zhu pointed out that the country as a whole does not have a national strategy for the auto industry, which he said troubled Chinese carmakers like Changan. "The current policies are not complete, not systematic and not far-sighted," he said. "We cannot predict the future policies. What will happen if the subsidies for new-energy vehicles are gone when Changan has increased its production capacity to 1 million cars?" 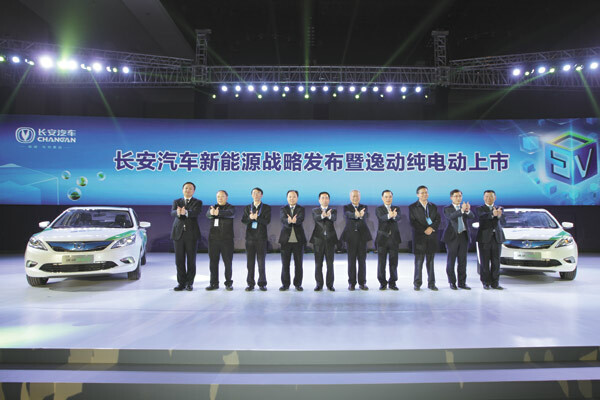 Changan unveiled its new-energy vehicle development strategy when its EADO EV made its debut in Chongqing on March 6. The EADO EV, which is the Chinese maker's first electric car, boasts a top speed of 140 km/h and can run for 200km without recharging. 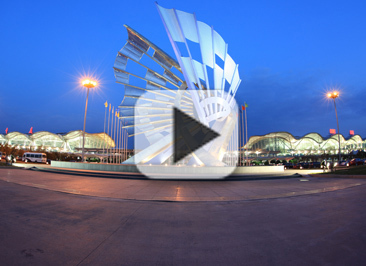 The car will be sold at 234,900 yuan and 249,900 yuan. Customers in most Chinese cities can apply for a 90,000 yuan in subsidies from the central and local governments. As one of the fastest growing Chinese carmakers, Changan sold 2.54 million cars in 2014, 20 percent up from the previous year, according to a report released by the China Association of Automobile Manufacturers in January. "The EADO EV is a safe, affordable and user-friendly car of high quality," said Ren Yong, general manager of Changan Automobile New Energy Company.